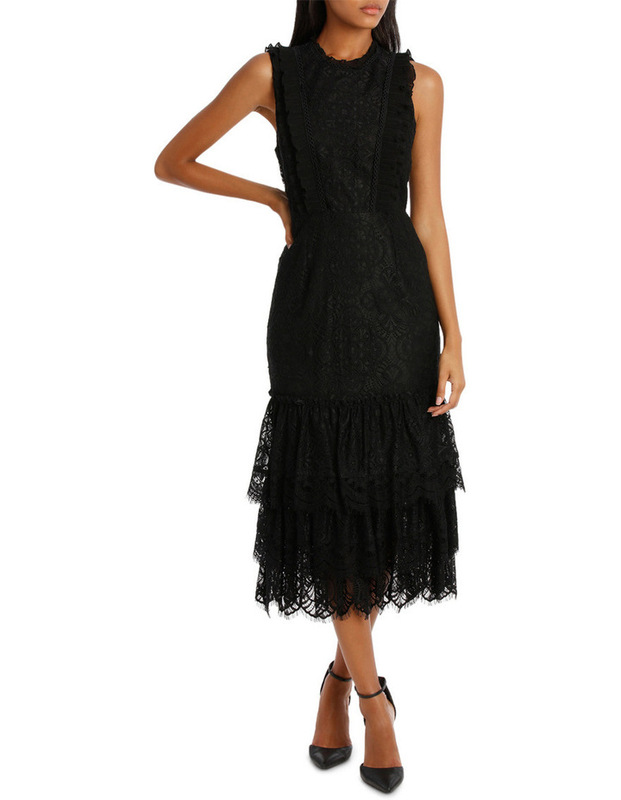 Jayson Brunsdon Black Label Black High Neck Lace Tiered Midi Dress in Black. 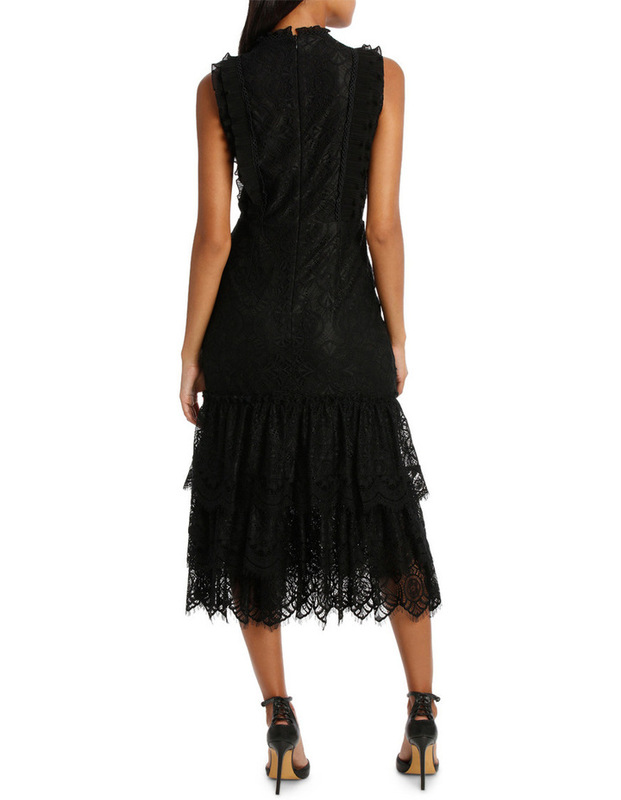 Fabrication: Lace- 45%Nylon; 21% Rayon ; 34%Cotton. Style Number:17JB541. Exclusive to Myer.